Regular eye examinations are an invaluable tool in maintaining eye health by detecting and preventing disease. Some diseases, such as glaucoma, develop gradually without causing pain or vision loss, so patients may not notice that anything is wrong until significant and irreversible damage has been done. If visual impairment begins to interfere with your ability to read, drive, work or do the things you enjoy, you may want to consider cataract surgery to restore your vision. 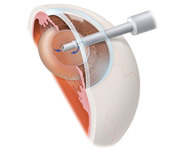 Cataract surgery is the most commonly performed surgical procedure in the US, and can be performed quickly and easily with a success rate of over 90 percent and a minimal risk of complications. Patients with diabetes are at an increased risk of developing eye diseases that can lead to vision loss and blindness, such as diabetic retinopathy, cataracts and glaucoma. 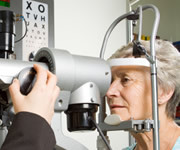 Diabetic eye conditions can be detected through a comprehensive eye exam. A comprehensive eye exam involves a visual acuity test to measure vision at various distances, and a dilated eye exam to examine the structures of the eye for any signs of disease. 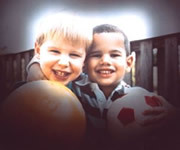 Glaucoma is one of the leading causes of blindness and visual impairment in the US, and can affect patients of all ages.While some patients may experience symptoms from glaucoma, others do not learn they have the condition until they undergo a routine eye exam. Once glaucoma has been diagnosed, treatment should begin as soon as possible to help minimize the risk of permanent vision loss. Dry eye is a common condition that occurs when the eyes are insufficiently moisturized, leading to itching, redness and pain from dry spots on the surface of the eye. The eyes may become dry and irritated because the tear ducts don't produce enough tears, or because the tears themselves have a chemical imbalance. Dry eye is not only painful; it can also damage the eye's surface and impair vision. Fortunately, many treatment options are available to help relieve symptoms and restore health back to the eyes to ensure clear vision and long-term health.